As I was reading the local newspaper recently, I wondered how many of the paper’s features reminded me of things I did or encountered on my own grief journey. When my two eldest children, twenty-one-year-old Denis and nineteen-year-old Peggy, were killed in the same car accident years ago, I never realized how much the newspaper could reinforce the grief process. The tops in news makes the newspaper’s front page, complete with pictures and headlines. 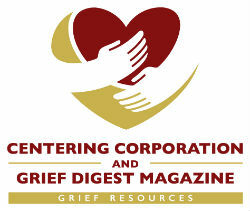 When we are newly bereaved, our losses are “page one” news in our lives. Morning, noon and night all we see are the images of our loved ones who died. Those faces, like that front page photo, are enmeshed in our memories, haunting our daylight hours, accompanying us wherever we go, never leaving us. They are the first thing we see when we wake up in the morning and the last thing we remember as we fall asleep at night, painfully reminding us of our loss. Those beautiful faces of Denis and Peggy were as big as life to me as I awoke each morning and as I closed my eyes at night. Their presence never left me. That front page picture became part of me forever. The newspaper relates the details as it fills in the headlined story. Just like the reporters grabbing on to every new fact, we bereaved tell our stories. I talked to everyone; telling them about my children was my therapy. I call it “sharing Peggy and Denis with the world.” Grief experts tell us that talking is the best medicine, and I overdosed on it. I still pity the person sitting in the window seat on the airplane as I chatted on about Peggy and Denis. Just like the newspaper story giving everyone the facts, we need to know all the details in order to process the information and make the death real for us. The more we know, the better we can address the myriad of haunting questions that assault our hearts and souls while we are trying to piece together the facts and make sense of the death. Telling our story again and again (as the papers do) keeps alive our loved one’s memories and helps us deal with loss in a positive way. These are the newspaper pages many folks turn to first as they enjoy their morning coffee. In fact, some family members fight over who gets them first. Sometimes we need time out from our grief. It could be time to exercise or simply walk or jog, or time to pursue a pastime like golf, tennis or karate. In today’s world, the gym has answered many a grieving person’s needs by providing a place to work off frustration or vent some pent-up anger. Activity sports like golf, tennis, bowling or racquetball invite us to get interested in something, make us feel alive again, and get us moving off the couch and out of the house. Spectator sports like baseball and football answer a need, too, offering us time to “run away” from our grief and grab a few minutes of shear relaxation and/or time for energetically expressing our emotions as we watch our favorite teams. We are lucky that there is such a variety from which to choose. The sports pages offer us a comforting oasis from pain. Some of us just need an outlet for creativity, something to take our minds off our haunting grief. That’s when we can turn to the bridge or crossword pages or the columns about knitting, needlework, gardening, coin collecting, computer skills or house repairs. Newspapers offer us an array of subjects to fill lonely hours that might otherwise drag for us. They fill us with ideas for exciting interests to enrich our lives and ways to make some new memories and maybe even some new friendships along the way. These new or expanded interests help us to reduce the feeling of powerlessness by providing a sense of control through completing a task or just enjoying it. With each decision we make, we become stronger. The newspapers offer cheap, happy therapy! Laughter is like premium gasoline. It helps take the “knock” out of living. We give ourselves time to cry, but we need to also give ourselves permission to laugh. It will not be showing dishonor to our loved ones. We can’t turn back the clock, but we can wind it up again—with laughter. Newspapers treat us to a wide range of comic strips that can give us a chuckle, a time to lighten our spirits and even a time to bring back a special memory. Sometimes the comics just give us time to relax and remember funny things we did together. That could rescue us from the doldrums and provide a healthy sign that we will survive. Grateful for this gentle therapy, we might want to cut out some of our favorites and paste them in a special album that will make us smile each time we glance at it, or we might want to post them on the refrigerator door to make us laugh every time we walk by. Who could not grin from ear to ear when looking at the Lockhorns, Marmaduke or Dennis the Menace? Just remember, a smile is the light in the window of your face that tells people you’re at home. As we well know, not everybody is savvy about grief. How helpful it is to have a knowledgeable columnist who can explain so thoroughly what the bereaved need and how to can help them. Columnists can be our first teachers, pointing the way to find support groups and sharing ideas that will help us to cope and survive. The strategies they suggest might open doors for us to discover lifelines like The Compassionate Friends, American Foundation for Suicide Prevention, Parents of Murdered Children or local hospice programs. Books they recommend for the bereaved might even be the magic ingredient that gets us to understand the grief process and to get busy doing our grief work. Inviting pictures with luring descriptions of exciting resorts, gorgeous landscapes, breathtaking views, quaint cities, relaxing beaches and cozy hideaways fill the newspapers’ travel sections and offer us a chance to find just the right place to renew our spirits and “get away from it all.” Some families agonize about whether to go away for a vacation after losing a loved one, and some families can’t get away fast enough, hoping they will leave their grief behind. We don’t really get away from our grief; we simply get away from familiar surroundings filled with memories, life’s daily pressures and people who put unnecessary demands on us. Getting away for awhile can be very healing and comforting. Just as the newspapers’ obituary pages sometimes tell life stories, we want to tell the world how special our loved ones were. We might want to write an informative article for the local newspaper or an article to be included in its obituary column informing others about our loved ones. We might choose to write a beautiful acknowledgement card with a picture and story of our loved ones, so their memories will not be erased. Today, I still use the card I wrote about Peggy and Denis in 1986 to share memories with the new people I meet. Never did I think that the acknowledgement card that I so tenderly designed when they died would still be useful so many years later in sharing my favorite thoughts about them. The initial writing about our loved ones might even lead to journal writing, emptying our hearts onto paper, expressing what feels good and what hurts, what we’re thinking and feeling, what we miss, giving us a great way to unburden our hearts on our grief journey. The newspapers are filled with a variety of ads trying to make our lives easier or more beautiful. That should be good news to those of us who are grieving and looking for anything that will minister to our broken hearts. Could it be a new restaurant or maybe rescuing a puppy from the animal shelter? Maybe it could be to join a local walkathon for a cause that is dear to our hearts. Maybe it is the ad for volunteers to serve in the local food pantry or to join the community choir? Perhaps it is an ad for a favorite food on sale or a new, inviting, super-comfy recliner, or a much- wanted, flat-screen TV? I smiled every time I got into my new car, thinking how much my son always had kidded me about my Plymouth Horizon, calling it a “piece of plastic.” Now, I know he is shouting, “Way to go, Mom,” as I drive my brand new Buick Park Avenue! When we are grieving, we might find that treating ourselves to something special can lift our spirits and bring some joy. We don’t have to max out our credit cards as some do, but sometimes a special treat can bring a new dimension into our lives. Personally, I strongly recommend rescuing a puppy! Whether it’s Book Reviews, Letters to the Editor, the Op-Ed page, the Movie Schedule, Theatre Critic, Lottery Numbers or our favorite columnist, newspapers keep us updated and tuned-in to life and offer us many ways to brighten our days. It’s something that requires “trial and error” as we discover the blend that refuels each of us on this grief journey. 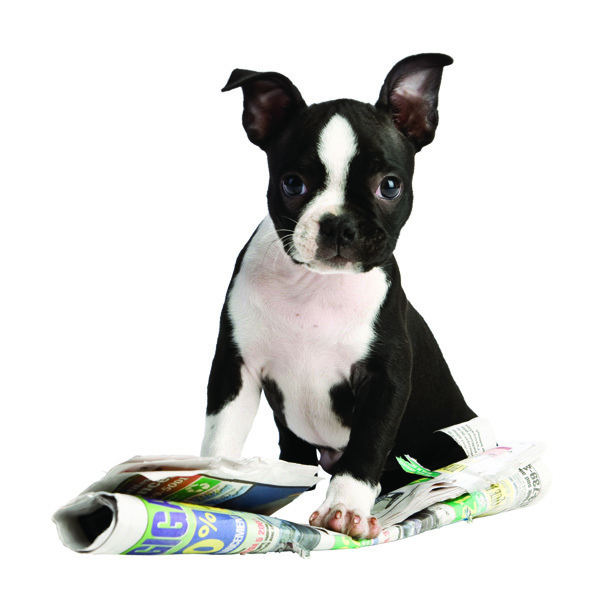 As newspaper boys shouted in the old days, “Extra, extra, read all about it!” Happy reading! Wife, mother, grandmother, educator, author and speaker, Elaine E. Stillwell, M.A., M.S., shares her gifts of hope and inspiration with the bereaved, simply telling what she has learned to cope and survive following the deaths of her two oldest children, 21-year-old Denis and 19-year-old Peggy, in the same 1986 automobile accident. In addition to being Founder and Chapter Leader of The Compassionate Friends of Rockville Centre, Long Island, New York, (along with her husband Joe), she is Bereavement Coordinator for Ministry to Families, Diocese of Rockville Centre, reaching out to the bereaved in 134 parishes and also organizing and training the bereavement facilitators through special conferences and enrichment programs. Elaine shares her unique gifts of caring and humor with audiences across the United States at workshops and seminars, in radio and television appearances, and through magazine articles and her 65 minute DVD, Helping Your Heart Through Grief, Volumes I and II. She is the author of two crafts books for bereaved children, Sweet Memories and A Forever Angel (Centering Corporation); two pamphlets for grieving adults, Healing After Your Child’s Death and Stepping Stones for the Bereaved (Liguori Publications), and a book for parents who have lost a child of any age, The Death of a Child (ACTA Publications).